Endeavour is a British television detective drama series. It is a prequel to the long-running Inspector Morse and, like that series, is set primarily in Oxford. Shaun Evans portrays the young Endeavour Morse beginning his career as a detective constable, and later as a detective sergeant, with the Oxford City Police CID. The series is produced for ITV as a Mammoth Screen and Masterpiece co-production for ITV Studios. After a pilot episode in 2012, the first season was broadcast in 2013, and four more seasons have followed. A fifth season with six episodes set in 1968 began on 4 February 2018 and finished on 11 March 2018. A sixth season was later announced, aired from February - March 2019 and picked up eight months later set in 1969. In February 2019, the show was renewed for a seventh season. Set in the mid to late 1960s in Oxford, England, the series centres on the early career of Endeavour Morse (Shaun Evans) after he has left Lonsdale College of Oxford University late in his third year without taking a degree, spent a short time in the Royal Corps of Signals as a cipher clerk, and then joined the Carshall-Newtown Police. In the pilot episode, having been transferred to CID after only two years as a uniformed police constable, the young DC Morse soon becomes disillusioned with law enforcement and begins writing a resignation letter. Before he can resign, Morse is sent with other detectives from the Carshall-Newtown Police to the Oxford City Police's Cowley Police Station to assist in investigating the case of a missing fifteen-year-old schoolgirl. Having studied at Oxford gives Morse advantages and disadvantages when dealing with Oxford's "town and gown" divide. During the pilot episode, he tenders his resignation but his superior, veteran Detective Inspector Fred Thursday (Roger Allam), the "guv" at the Oxford City Police's CID, sees in him an unblemished detective whom he can trust and takes him under his wing to be his new "bag man" meaning assistant, replacing a corrupt Detective Sergeant. Series 1 begins with Morse transferring to the Oxford City Police in 1965 following a double-murder investigation that took place during the pilot episode. Morse is taken under the wing of Inspector Thursday. Thursday names Morse his designated "bag man" and shows him the ropes as Morse begins to solve a string of complex multiple-murders, much to the envy and annoyance of some of his superiors, particularly Detective Sergeant Jakes and Chief Superintendent Bright. Morse displays his obvious genius in solving intricate murders, including several with opera connections. Thursday and fellow-officer Police Constable Strange try to steer the young Endeavour into taking his sergeant's exam, so that he may be relieved of "general duties" and become Thursday's official "bag man" with the appropriate rank and title. In the Series 1 finale, Morse is shot while attempting to apprehend a murderer and is placed on light duty. At the same time, Morse comes to terms with the December 1965 death of his cold, unfeeling father. Series 2 begins in 1966 with Morse returning to active duty at Cowley Police Station, after spending several months on light duty at Oxfordshire (County) Police's Witney Station, under the direction of DI Bart Church. Morse is received warmly by C.S. Bright and DS Jakes, as DI Thursday begins to keep a more watchful eye on the young Endeavour. As a result of the shooting, Morse begins to suffer from delayed stress and paranoia, as well as an increase in alcohol consumption. Despite making several mistakes in the investigation, Morse solves the cases, impressing his superiors. During the investigation he suffers a concussion after being struck over the head and is cared for by his nurse neighbour, Monica Hicks, in whom he takes an interest. At the same time, P.C. Strange enters into Freemasonry with many of Oxford's elite, and DI Thursday's daughter, Joan, begins to take an interest in Endeavour. During the course of several cases, pieces of circumstantial evidence go missing, and a murder suspect threatens Morse by claiming association with powerful men who will not take kindly to interference. In the final episode, the looming merger of city and county police and misgivings about corruption lead Thursday to consider retirement, in response to strong hints from C.S. Bright about age and health. Disheartened by this, Morse speculates to Monica about leaving the police and going abroad with her. Assistant Chief Constable Clive Deare asks Thursday and Morse to covertly investigate corruption within the police and council. Morse is sent to a rendezvous where he is ambushed by corrupt officers and Thursday is lured to Blenheim Vale, a derelict former wayward boys home, where there was rampant sexual and physical abuse (of which Jakes was a victim). Morse escapes the ambush and goes to support Thursday, who is shot by Deare, a participant in the abuse at Blenheim Vale. Deare tells Morse he has framed him for the murder of Chief Constable Rupert Standish. Deare is about to kill Morse when he is shot dead by a girl who had also been abused at Blenheim Vale, who then kills herself. Bright and Strange arrive with backup and an ambulance. As Thursday is being loaded into an ambulance, Morse is arrested by officers from another force for the murder of Chief Constable Standish. The series ends with Thursday's fate unknown and Morse in a gaol cell. Series 3 begins in Spring 1967. DC Morse is cleared of the murder of Chief Constable Standish and the records in the case of Blenheim Vale are sealed for 50 years. DI Thursday is discharged from hospital, but the bullet could not be taken out of him and has resulted in recurring coughs. Monica has come to realize that she and Morse have gone their separate ways. Strange is promoted to sergeant and Morse considers his future after his time in prison but, with Thursday's encouragement, Morse returns to active duty investigating a murder following a disappearance at a funfair on Cowley Green. After solving a faked kidnapping and tainted fruit being sold at a local supermarket, DS Jakes survives a time-bomb, retires from the force and leaves Oxford. W.P.C. Shirley Trewlove joins the station, to the obvious delight of Chief Superintendent Bright. Strange takes Jakes's place as detective sergeant but assures Morse that they're still friends even though he's now his superior. Thursday shows frequent signs of outbursts against suspects unwilling to co-operate during the investigations, and even uses violence as a way of extracting information. Although Morse is unsure about becoming a sergeant, Thursday assures him he's more fitted to be an inspector. In the final episode, Morse finally sits his sergeant's exam and completes his paper well within the time allowed. An armed robbery takes place at a bank where Joan Thursday works and the armed robbers become themselves trapped along with Morse during an investigation into a killing and payroll robbery. After the robbers are arrested, Joan, emotionally affected by the ordeal, leaves Oxford despite encouragement from Morse to stay. Realizing that Joan has gone, Thursday encounters Morse outside his house, and figures that he saw Joan leave. Starts in the summer 1967 and ends in the autumn of the same year. Joan Thursday is still away and Morse finds out his sergeant's exam paper went "missing", which meant automatic failure. Bright makes inquiries and tells Morse that his exam paper was the only one that went astray. After solving another complex murder case, Morse refuses to be affected by failing his sergeant's exam and stays in Oxford. He locates Joan in Leamington Spa, in a relationship with a married man. Joan declines Morse's offer to return to Oxford, and he accedes to her request not to tell her father where she is. DI Thursday discovers Morse's note of Joan's address and also pays her a visit. He confronts Joan's lover and afterwards asks Morse why he did not reveal her whereabouts. Thursday admits they both had a wasted journey. Morse gets a phone call to tell him that Joan is in hospital, and finds out from a doctor that she has had a miscarriage. After averting disaster at a nuclear power plant, Thursday is promoted to the rank of chief inspector and Morse is promoted to detective sergeant. They are both awarded the George Medal for their actions. Picking up the narrative in April 1968, ending in November of the same year, the various investigations continue during the creation of Thames Valley Constabulary from the city and county police forces. The Cowley police station has its future in question along with some of the key members of the team there. Morse, now a DS, is assigned with a new DC, George Fancy, and becomes annoyed with his lack of focus initially. Joan is back in town and occasionally bumps into Morse around Oxford. DCI Thursday's plans for retirement hang in the balance. The final episode, with the gang rivalry looming all over town, includes the death of DC George Fancy (who gets hit by bullets that do not match any of those of the crossfire between gangs that occurred where he was found) and the departure of WPC Shirley Trewlove to Scotland Yard, while the rest come to terms with the death and the closure of the Cowley Station. The series concludes with Morse asking Joan Thursday if her offer to go for coffee was still open (after he had said no to having coffee with her earlier in the series). In the last scene, they look at one another before Joan responds. The series was shot during 2018 and premiered on 10 February 2019 in the UK. There are four episodes. Series six starts July 1969, eight months after the series five finale, with Morse sporting a moustache for the first time. Shaun Evans Endeavour Morse Pilot, Series 1–present Detective Constable (DC) (later Detective Sergeant), Oxford City Police CID, Cowley Police Station. From Series 6 as part of the Thames Valley Constabulary. Roger Allam Fred Thursday Pilot, Series 1–present Detective Inspector (DI) (later Detective Chief Inspector), Oxford City Police CID, Cowley Police Station. From Series 6 as part of the Thames Valley Constabulary. Anton Lesser Reginald Bright Series 1–present Police Chief Superintendent (PCS), Oxford City Police, Cowley Police Station. From Series 6 as part of the Thames Valley Constabulary. Jack Laskey Peter Jakes Series 1–3 Detective Sergeant (DS), Oxford City Police CID, Cowley Police Station. From Series 6 as part of the Thames Valley Constabulary. Sean Rigby Jim Strange Series 1–present Detective Sergeant (DS), Police Sergeant (PS), Police Constable (PC) Oxford City Police CID, Cowley Police Station. From Series 6 as part of the Thames Valley Constabulary. ITV broadcast a television film in the UK on 2 January 2012; in the United States, PBS aired it on 1 July 2012. It starred Shaun Evans as the eponymous police detective in his early career. Abigail Thaw, daughter of original Morse actor John Thaw, played the part of Dorothea Frazil in a scene at the Oxford Mail newspaper. ITV commissioned a first series of four new episodes, filmed during summer 2012, and aired them from 14 April to 5 May 2013. It was announced on 5 June 2013 that due to the success of series 1, including consistently high ratings, ITV had commissioned a second series of four episodes. Filming commenced in Oxford in September 2013. On 24 September 2014, ITV confirmed that a third series of Endeavour had been ordered. Before that third series of Endeavour screened on ITV, Evans told the Oxford Mail: "It's not like we have a six-year contract, there's none of that. It's day by day, year by year. I think this one is really good. We'll know when it airs if there's an audience for it and if we feel there's another place to take these characters." In February 2016, ITV announced that a fourth series of Endeavour had been commissioned, which Roger Allam confirmed to the Oxford Mail, with filming to begin in late spring 2016. To mark the 30th anniversary of Morse on television, the series features several early Morse characters and cameos by actors from the original series. The fourth series debuted on 8 January 2017, and the fifth series began on 4 February 2018. A region 2 DVD of the pilot at 89 minutes long was released on 9 January 2012, but, as reviewers on Amazon.co.uk have noted, does not contain the full show and many scenes aired on ITV have been cut out. A complete edition running at 98 minutes was released on 26 January 2012. Noting that the series received upwards of 6.5 million viewers, Mark Sweeny writing in The Guardian stated that any decision to commission a subsequent series should be easy. Upon its US premiere, Los Angeles Times critic Robert Lloyd called it a "suitably complicated and pictorially engaging work of period suburban mystery." Critics have been generally favourable, though even positive reviews have commented that the show's murder-mystery plots are occasionally unsatisfying convoluted puzzles or come to a "rushed, melodramatic and fairly preposterous conclusion." Endeavour includes a number of references to both Inspector Morse and Lewis. A number of references to the Inspector Morse series were included in the TV film of Endeavour, serving to introduce younger versions of characters who appeared in the original series or to place iconic series or character elements into the film. In the first scene, Morse is seen listening to opera (specifically, "Un bel di" from Puccini's Madama Butterfly), and operatic themes were introduced into the score by Barrington Pheloung, who scored and conducted the music for both Inspector Morse and Lewis. Morse's taste in opera would later evolve into a preference for Germanic composers, particularly Mozart and Wagner. Morse appears to use his first name, which is known by some of the people who work with him. The episode does not explore why his unwillingness to tell anyone his first name arises, a habit continued in the Endeavour series and throughout the Inspector Morse series. He tells all to call him Morse. As Morse and the other officers from Carshall Newtown are being bussed in to Oxford at the beginning of the pilot episode, "In Paradisum" from Fauré's Requiem plays, the same piece of music used when Morse collapsed in "The Remorseful Day". In a flashback, a young woman with long blonde hair is seen, draped only in a blanket and viewed from the back, staring out of a window. Later, Morse and Alex Reece have a discussion of their competition over "Wendy", as Reece refers to her, reminding Morse that she preferred Morse to himself. Morse corrects him, saying she prefers "Susan". This is a reference to Wendy Spencer, Morse's girlfriend at university, in the book "The Riddle of the Third Mile", and to Susan Fallon (married name), her equivalent in the television series. In Morse Episode 21, "Dead on Time", Morse says he lost Susan to a prior relationship, which would have been Henry Fallon, whose death is investigated in this Morse episode. Susan is played by Joanna David, a blonde woman of similar stature to the one shown in the flashback. Max de Bryn, featured as the Home Office pathologist until his retirement in Inspector Morse is introduced when the body of the college student is found. In a later scene, Morse's horror at the sight of blood is shown and emphasised when he faints during an autopsy. Early in the episode, Morse states that he abstains from alcohol. After he faints at the mortuary, Fred Thursday encourages him to drink a glass of real ale, after which Morse is shown drinking several pints before the episode's close. The red Jaguar Mark 2 car with the registration 248 RPA is shown prominently at a car showroom, attracting interest from Morse; this is the car Morse drove in the original series. Christopher Brandon plays Alexander Reece, a college friend of Morse, later played by Barry Foster in the 1989 Inspector Morse episode, "The Last Enemy". As was traditional in the original series, writer Colin Dexter who created Morse, made cameo appearances in each episode until his death, for example, reading a newspaper on a bench in one scene and in another, sitting on the upper deck of an Oxford bus. In the closing moments, as Thursday asks Morse where he sees himself in twenty years, Endeavour looks in the rear view mirror and sees the face of John Thaw. At the same time, the original series music begins and plays through the credits. In addition to the face-in-the-mirror scene, Endeavour includes another recognition of John Thaw. His daughter, Abigail, appears as the crossword editor for the Oxford Mail, whom Morse questions. At the end of the scene she pauses for a moment, then asks if she's met him before, eventually noting it may have been "in another life." Red letters are highlighted in names in the closing credits when the series is shown as part of Masterpiece Mystery! on PBS, but not the original ITV release. 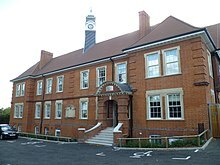 At the end of the pilot episode, the red letters spell out "Lonsdale", Morse's (fictional) college. As in the original series and Lewis, Brasenose College, near the Radcliffe Camera, serves as Lonsdale. In Episode 1 of Series 1 ("Girl"), Morse mentions 'DI Hillian from Robbery' to another character. This is a reference to Charlie Hillian, the distinguished retired senior officer murdered just prior to publishing his memoirs in Morse Episode 1 of Series 5 ("Second Time Around"). The character PC Jim Strange played by Sean Rigby in Endeavour appears as Chief Superintendent Strange played by James Grout in the Inspector Morse series. In Episode 4 of Series 1 ("Home"), Morse receives a leg injury when shot by a female character during the denouement. While having the wound treated he's told that he may experience a slight intermittent limp when he gets older, thus explaining John Thaw's limp as Inspector Morse. As Morse and Thursday wait for the trap to close upon them near the end of "Neverland," and their possible deaths, Morse quotes from A. E. Housman's poem, "May": "Past touch and sight and sound / Not further to be found,/ How hopeless under ground / Falls the remorseful day." The final episode of Morse, of course, is titled "The Remorseful Day." In Neverland, the young Morse is recommended by his boss to seek out 'Inspector McNutt' as a possible replacement for him when he retires. McNutt features in the Morse episode Masonic Mysteries, when he is murdered by dangerous conman Hugo de Vries. In Episode 1 of Series 2 ("Trove"), Oxford Don Matthew Copley-Barnes appears, and references are made to his daughter Imogen and her friend Sylvie. These characters form the core of Morse Episode 1 of Series 4 ("The Infernal Serpent"). Also in Episode 1 ("Trove"), one of the judges of the poolside beauty contest is "racing driver, Danny Griffin", the late husband, brother and father of protagonists in Lewis episode 1 / Pilot ("Reputation"), who has since been killed in a car accident. In the first episode, "Ride", Endeavour's friend is Anthony Donn from the Morse episode "Deceived by Flight". Morse and Anthony Donn lived together in college and shared a flat in St John's Wood. Bruce Belborough calls Endeavour "Pagan" referencing "Deceived by Flight" where we first found out Morse was called Pagan by Roland Marshall. There is also a brief reference to Julius Hanbury, a murder victim in "Ghost in the Machine." In the second episode, "Arcadia", enquiries by WPC Trewlove discover that a deceased character is described as having had his daily pint of Radford's. The Radford Brewery was at the centre of the mystery in "Sins of the Fathers." In the third episode, "Prey", the young gardener at the Mortmaigne estate is Philip Hathaway, who will become the father of James Hathaway, Lewis' partner. Hathaway himself returned to the Mortmaigne estate, where he grew up, in the Lewis episode "The Dead of Winter". The fourth episode, "Coda", portrays the bank robbery that set up the Inspector Morse episode "Promised Land". It also features Jerome Hogg in a small role; Hogg was also seen in the Morse episode "Greeks Bearing Gifts". 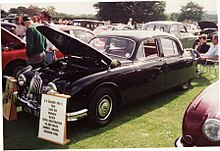 In episode 2 a Jaguar Mark 2 is shown to Morse. ↑ Barnett, Laura (1 January 2012). "Endeavour: an inspector recalled". The Guardian. Retrieved 31 May 2017. ↑ Fullerton, Huw (2 February 2018). "Morse prequel Endeavour to return to ITV for a longer fifth series". Radio Times. Retrieved 8 February 2018. ↑ ITV (TV network) [@ITV] (11 March 2018). "Morse fans, we have news. #Endeavour will return to @ITV in 2019" (Tweet) – via Twitter. ↑ "ITV Renewed Endeavour For Season 7". rdv5.com. Retrieved February 8, 2019. ↑ "13 Things We Know (and Think We Know) About Endeavour Series 6 - We Will (Once Again) Be Dragged Through the Morse-Joan Thursday Storyline". popsugar.co.uk. Popsugar, Inc. Retrieved 30 July 2018. ↑ "When is series six of Endeavour on TV? Who is in the cast? What will happen?". Radio Times. Retrieved 26 January 2019. ↑ "Endeavour - Programme overview". ITV Studios. Retrieved 3 January 2019. ↑ "Lewis Peek joins Endeavour cast". Radio Times. 2 February 2018. Retrieved 21 February 2018. 1 2 3 "Filming begins on the sixth series of Endeavour". ITV Press Centre. 25 July 2018. Retrieved 28 January 2019. ↑ "Morse is back!". Daily Mail. 30 December 2011. Retrieved 30 March 2013. ↑ "ITV commissions full series of Morse drama Endeavour". Metro. 12 March 2012. Retrieved 30 March 2013. ↑ "ITV Sets Premiere Date For 'Endeavour'". TV Wise. 3 April 2013. Retrieved 7 April 2013. ↑ "ITV recommissions Endeavour for a second series". ITV. 5 June 2013. Retrieved 15 July 2013. ↑ Harrison, Emma (19 September 2013). "Actor drops in as Endeavour returns to film in Oxford". Oxford Mail. Retrieved 14 December 2017. ↑ "'Endeavour' goes back into production for second series". ITV. 16 September 2013. Retrieved 14 November 2013. ↑ Sproule, Luke (24 December 2015). "Bank heists and love stories - Oxford-based detective drama Endeavour is back for a third series". Oxford Mail. Retrieved 25 November 2016. ↑ Sproule, Luke (3 February 2016). "Endeavour set to return for a fourth series". Oxford Mail. Retrieved 25 November 2016. ↑ "Endeavour will return to ITV". ITV. 9 February 2016. Retrieved 25 November 2016. ↑ "Endeavour to mark Morse anniversary with 'tips of the trilby'". BBC News. 1 June 2016. Retrieved 25 November 2016. ↑ Midgeley, Neil (5 May 2017). "30 years of Morse – how John Thaw's legacy lives on in Endeavour". Radio Times. Retrieved 31 May 2017. ↑ Fullerton, Huw (30 January 2017). "Morse prequel Endeavour to return to ITV for a longer fifth series". Radio Times. Archived from the original on January 30, 2017. ↑ "Endeavour (The Origins of Inspector Morse) (DVD)". Amazon.com. Retrieved 30 March 2013. ↑ "Endeavour (The Origins of Inspector Morse) — Complete Edition (DVD)". Amazon.com. Retrieved 30 March 2013. ↑ "Endeavour - Series 3 [DVD]". Amazon.com. ↑ "Endeavour - Series 4 [DVD]". Amazon.com. ↑ Sweeny, Mark (3 January 2012). "Endeavour pays off with 6.5m viewers". The Guardian. Retrieved 30 March 2013. ↑ Lloyd, Robert (29 June 2012). "Review: A welcome 'Endeavour' to the Inspector Morse world on PBS". Los Angeles Times. Archived from the original on 30 June 2012. Retrieved 15 July 2013. ↑ "Endeavour - Season 1 Reviews". Metacritic. 30 June 2012. Retrieved 25 November 2016. ↑ Pennington, Gail (1 July 2012). "TV review: 'Masterpiece Mystery! Endeavour' on PBS". St. Louis Post-Dispatch. ↑ Hale, Mike (30 June 2012). "No Zombies, Just a Pint and an Aria Inspector Morse Returns in 'Endeavour,' a Prequel". The New York Times. ↑ "Inspector Morse & Endeavour". All Allam. Retrieved 31 May 2017. In Endeavour he starts out being entirely abstinent, but he develops a taste after being given a pint by Inspector Thursday. It's implied that the reason for his sobriety is his disinclination to turn out like his father. Later he claims he 'thinks better' over a pint. ↑ Paton, Maureen (12 April 2013). "Roger Allam is the seasoned old copper who takes Morse under his wing". Daily Mail. Retrieved 31 May 2017. Thursday also turns out to be responsible for introducing Endeavour to what became Morse's trademark ale habit in order to steady the young detective's nerves after he's seen his first body in the morgue. ↑ Grant, Olly (29 December 2011). "Endeavour: Will the frosty reception for the new Morse thaw?". The Telegraph. Retrieved 31 May 2017. ↑ "ITV: We want more Inspector Morse". The Sun. 6 January 2012. Retrieved 31 May 2017. ↑ Holloway, Katie (10 January 2016). "Endeavour: what can we expect from the last 3 episodes?". TVGuide.co.uk. Retrieved 31 May 2017. ↑ Sandalls, Katy (7 April 2014). "TV Review: Endeavour Series 2 Episode 2". Nouse. Retrieved 31 May 2017. ↑ "Lewis: Reputation". IMDb. 2006. Retrieved 29 October 2017. ↑ Wheeler, Gem (26 January 2016). "Endeavour series 3 episode 4 review: Coda". Den of Geek. Retrieved 25 November 2016. ↑ Sanderson, Mark (25 January 2016). "Endeavour, Series 3 Finale". The Arts Desk. Retrieved 25 November 2016.